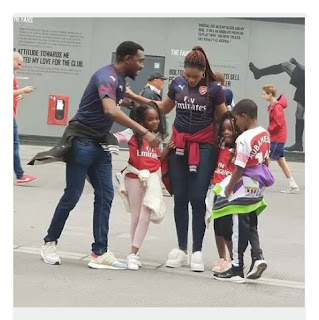 Multiple award winning singer, Timi Dakolo and his family popularly referred to as “yard people” are presently on vacation in Englad, as a matter of fact, they stopped by at the Emirate Stadium on Sunday to watch the Arsenal versus Manchester City premier league match. Timi Dakolo was born in Accra, Ghana to a Nigerian father, Bayelsa-native David and a Ghanaian mother, Norah, who died when Dakolo was thirteen. Despite being born in Ghana, Timi has a Nigerian passport and does not claim dual citizenship. 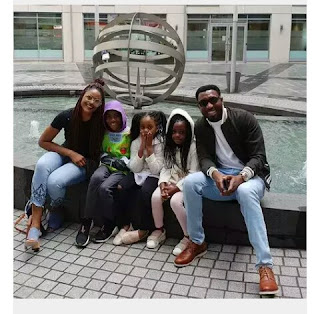 Timi started singing in church at the age of twelve.Timi Dakolo was born in Accra, Ghana to a Nigerian father, Bayelsa-native David and a Ghanaian mother, Norah, who died when Dakolo was thirteen. 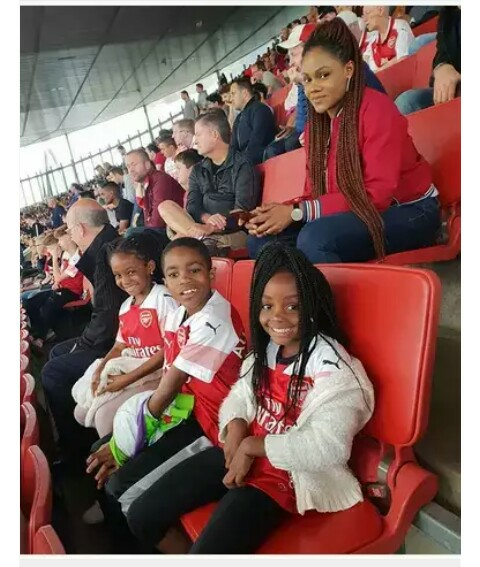 Despite being born in Ghana, Timi has a Nigerian passport and does not claim dual citizenship. 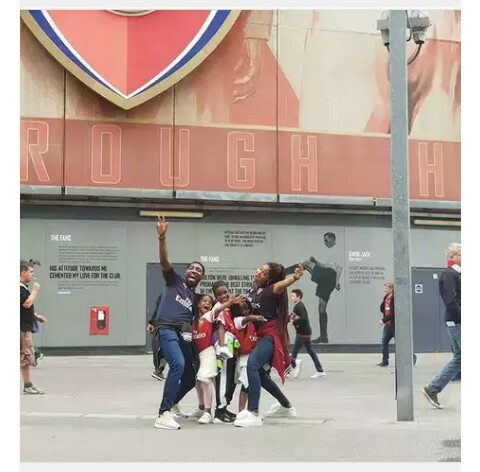 Timi started singing in church at the age of twelve.